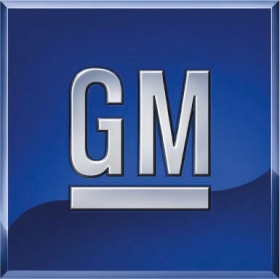 DETROIT -- General Motors today posted a smaller second-quarter loss in Europe than expected by analysts. The automaker said it could not predict when its operations in the region will return to profit. GM lost $361 million in Europe during the quarter, less than Ford's second-quarter European loss of $404 million. Analysts polled by StreetAccount had expected a loss of $426 million for GM. GM has been able to maintain flat pricing in Europe because of the introduction of some new models, Chief Finance Officer Dan Ammann told reporters. He added that recent cost-cutting moves, such as idling some assembly lines, have helped the bottom line. Ammann wouldn't predict when GM will turn a profit in Europe. Despite GM's restructuring moves, he said the "biggest fundamental driver" of its results will be the region's economy. "We're taking a lot of very decisive actions around Europe and we have been for a number of quarters now," he said. "If we're talking about the general European economy and the industry overall, we continue to see a very challenging environment in the second half." GM's global second-quarter net income attributable to common stockholders for the April-June period dropped 41 percent to $1.49 billion. Revenue dipped 4 percent to $37.61 billion, largely due to the stronger dollar. The automaker's North American unit also reported stronger-than-expected results although the company attributed some of that to spending that was deferred to the third quarter. North American pretax profit fell 13 percent from the year-earlier period to $1.97 billion. The automaker posted a slight loss of $19 million in South America, after turning a $57 million profit a year earlier. "We clearly have more work to do to offset the headwinds we face, especially in regions like Europe and South America," CEO Dan Akerson said in a statement. He noted "solid" results in North America and GM's international division, which includes China. Akerson has said that stemming the company's losses in Europe -- about $4 billion since GM emerged from bankruptcy in 2009 -- is his top priority. GM's losses in Europe for the first half of the year totaled $617 million, vs. $747 million for all of 2011. Ammann told reporters that GM Europe's new leadership team should help improve results in the region. Last month, Akerson installed GM vice chairman Steve Girsky as head of GM Europe, replacing Karl-Friedrich Stracke. Also last month, GM appointed restructuring specialist Thomas Sedran to run Opel/Vauxhall, GM's biggest European unit. Volume automakers are suffering as Europe's deepening economic crisis hits car sales. On July 25, Ford said its European operations swung to a second-quarter loss of $404 million from a year-earlier profit of $176 million. Ford is forecasting a full-year loss of more than $1 billion in Europe. Adam Jonas, an analyst with Morgan Stanley, said in a note to investors that GM's European losses were "better than we expected, but we suspect due in large part to inventory build that must come out." Ammann told reporters that GM would address high Opel vehicle inventories in the third and fourth quarters. Jonas said Europe is likely to lose materially more money in the second half of the year compared with the first six months. He increased his estimate for GM losses in Europe this year to $1.4 billion. He previously lowered the projection to $1 billion after starting the year at $1.2 billion to $1.3 billion. Colin Langan, an industry analyst at UBS Securities, raised estimated full-year losses for GM Europe to $1.6 billion from $1.3 billion earlier this year. Langan predicted a loss in Europe for the next five years. "They have a long way to go in Europe. The problem with Europe is that maybe the market itself won't collapse this year but it's probably not going to recover so it's going to be stagnation," he said. In North America, Ammann attributed the drop in earnings partly to a reduction in GM's pension income. Pricing in North America was flat compared with a year earlier, a period that was marked by big price increases industrywide because of a shortage of inventory stemming from the March 2011 earthquake in Japan. GM's North American earnings had been buoyed for several straight quarters by stronger pricing. "Being flat year over year -- we think that's actually progress relative to being back in a fully competitive environment and being able to maintain that pricing discipline," Ammann said. Part of GM's cost-cutting strategy in Europe included forming an alliance with and taking a small stake in PSA Peugeot Citroen. However, executives said GM will not inject additional capital into the struggling French automaker, which is cutting more than 10,000 domestic jobs. "We have no intention of putting more money into PSA," Ammann said.